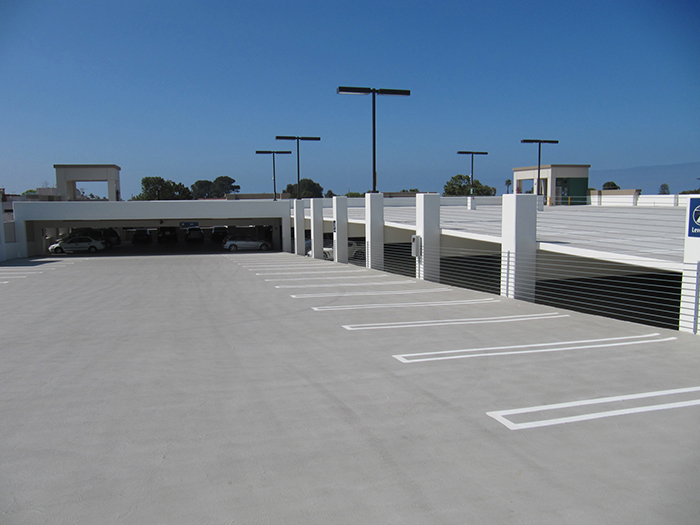 Miracote MPC Park Deck is a polymerized, two-component, cementitious protective and waterproof coating that is applied to concrete parking deck surfaces in three coats to a typical minimum thickness of 3/32" or approximately 94 mils. 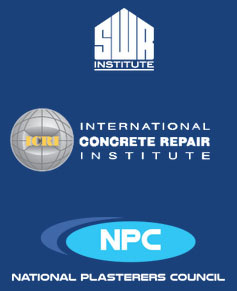 It consists of a unique rubber-like polymer liquid which is mixed with a proprietary cement and aggregate blend. Miracote MPC Park Deck is most typically applied by notched squeegee and back-rolled, but can also be easily applied by hand trowels, magic trowels, brush or spray. Designed for either exterior or interior use, Miracote MPC Park Deck restores and protects concrete surfaces from the consequences of exposure to water intrusion, chlorides, freeze thaw damage, carbonation and the impact and abrasion of vehicular traffic. Miracote MPC Park Deck is an extremely durable, cost-effective protective coating that is "breathable" and allows for the transmission of inherent moisture vapor within concrete without blistering or de-lamination. This inherent benefit of Miracote MPC Park Deck also helps lower internal moisture content of the concrete substrate which can further lead to significant reduction in corrosion rates of steel reinforcement. Miracote MPC Park Deck is available in two aggregate blends depending on the volume and severity of traffic conditions. Miracote MPC Regular Powder is ideal for normal conditions in parking stalls, drive lanes and turn lanes. Miracote MPC Hard Powder is modified with the addition of aluminum oxide aggregate for enhanced abrasion resistance where more extreme duty is required, such as in turn lanes and entrance and exit ramps. For detailing and treatment of existing cracks, MiraFlex Membrane A is an elastomeric rubber emulsion that is required to use for crack isolation. For enhanced clean-ability and stain resistance, consult with Crossfield Products for appropriate clear acrylic, polyurethane or siloxane-based surface sealers. (Concrete cylinders immersed for 8 hrs in coated salt water solution followed by 16 hrs. of freezing). no water or dampness noted on back of test panels.